There's a full review of this one coming but as it's unlikely to happen before next week I wanted to give a heads up on this one because it's on NetGalley for my US friends (ahead of its January Publication date. It's already out in the UK). 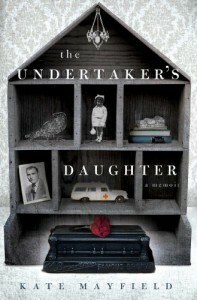 I'm not the greatest one for memoir, but this is great - if you want to know what it's like in a Southern Funeral home in the 60's, look no further.